The head of Air Mobility Command retired Sept. 7 after 35 years in the service, bur before leaving he encouraged airmen to continue his legacy of bold ideas. Gen. Carlton Everhart, who has overseen AMC since 2015, said his best advice to those in the Air Force is to not get discouraged. Air Force Times spoke with Everhart the week before his retirement ceremony at Scott Air Force Base, Illinois. Q: What are you working on in the days leading up to your retirement? A: The biggest thing that’s on my plate right now is setting up [Gen. Maryanne Miller] for success. As an outgoing commander, you always worry about, “Did I leave any rock unturned? Did I leave any exposure that can hurt the command or anything like that? … If you look at what we have done and what we continue to do … as far as how we are supporting all the combatant commanders, the sorties that we’re flying … Air Mobility Command is in great shape. Q: What advice do you have for Gen. Miller? A: I would ask her to continue to fuel the innovative spirit of our airmen and leverage industry. We have made a concentrated effort just to open up our airmen and [take a look at their ideas]. Then allow them and allow us to work hand in hand with industry, because industry is so much at the forefront of a lot of things. Look at what we just recently [proposed] with SpaceX and potentially sending cargo into space or moving it through the space medium. I’d ask her to … continue to champion and provide for airmen and their families and the capabilities they deserve. In other words, keep listening, keep understanding what the airmen need, and try to bring those needs to the forefront where our national leadership can take a look at them … and try to meet some of those challenges. 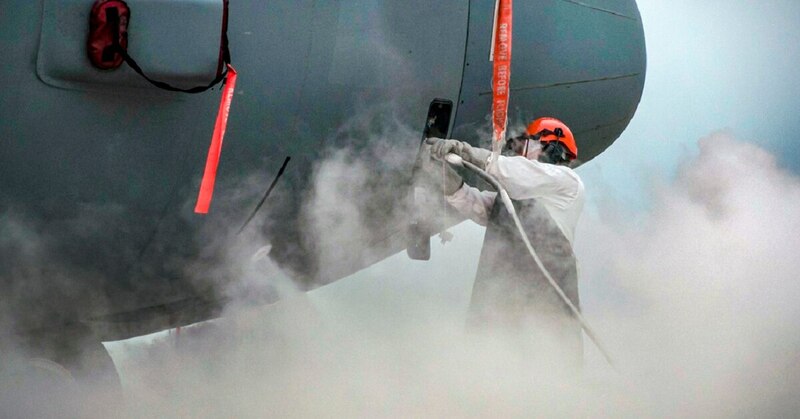 Q: What are you most proud of during your time at Air Mobility Command? A: I’m so proud of what our airmen do. Just plain and simple, our mobility airmen, they make the mission go. … We had four hurricanes, we launched about 1,600 sorties, 16,000 passengers, delivering 48 million pound of cargo, and that was just to aide. … We’ve opened up key airfields in Iraq and in Syria, and we delivered over 1 million pounds of munitions. This is all against [the Islamic State terrorists]. You look at operations like Enduring Freedom or Freedom’s Sentinel or Inherent Resolve … they conducted over 70,000 air-refueling missions. … We transferred about 3 billion pounds of this critical fuel. A: When you start a new initiative, trying to get that to where it takes hold and then it gets approved – or not approved, but it gets accepted. And you know me, I’ll throw out wild ideas and see what takes hold and what will stick. 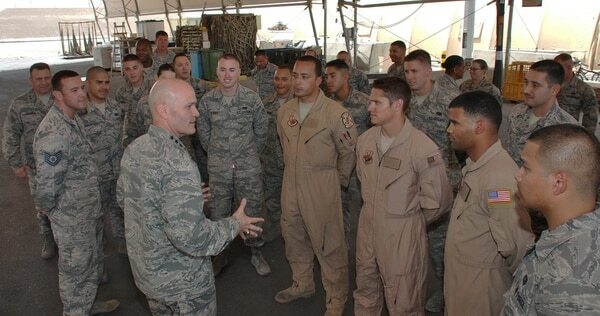 … And so what I would ask our airmen is, don’t get discouraged. … I would ask them also to continue to be honest. You know, the way I do things, I’ll ask an airman, “Hey, give me your opinion about something.” … And then you listen. You have to listen to what they say, and it may solve your problem straight out. Q: What are some challenges you think future airmen will face? A: Nuclear adversaries is the first thing that comes to mind. So we need to keep with a strong force. I think we need to continue to keep an eye on the budgetary situations that we have. It’s all about balancing. … The biggest challenge that you’re asking me is trying to predict the future. The problem is that’s the challenge – it’s the uncertainty. So as long as we’re prepared, as long as we’re ready, then we’ll be able to fight, you know, at any time our nation calls and answer that call with maximum effectiveness. Q: Do you hope to be involved with the Air Force in the future? A: I would like to pay back to the Air Force what it gave to me. … Where I could talk to young kids about who we are, what’s our heritage, what’s our nature, what is it like to fly? It’s just to pay it forward.